It might surprise you to know that two of the most visited sites in Scotland are not its Castles or Lochs, but a couple of more recent additions to the Scottish Landscape. Scots are famous around the world for their ingenuity and engineering prowess and nowhere is this more apparent than in the former industrial town of Falkirk. 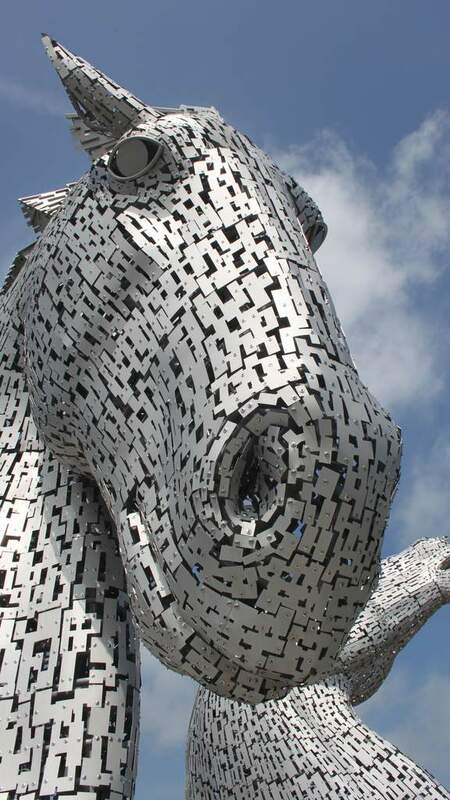 If there was a list of Modern Wonders of the World, then surely The Kelpies and The Falkirk Wheel would be on it. Both are modern day testaments to the engineers that built them and incite the same sense of awe the Steam Engine and the standing stones did 100s of years before. The figures involved in these huge structures are staggering. Standing at 30 metres tall they are the largest equine structures anywhere in the world. 300 tonnes of steel was used to make them and they were erected over the course of just 5 months. These beautiful horses have to be seen to be believed....and whatever you do, don't forget your camera! 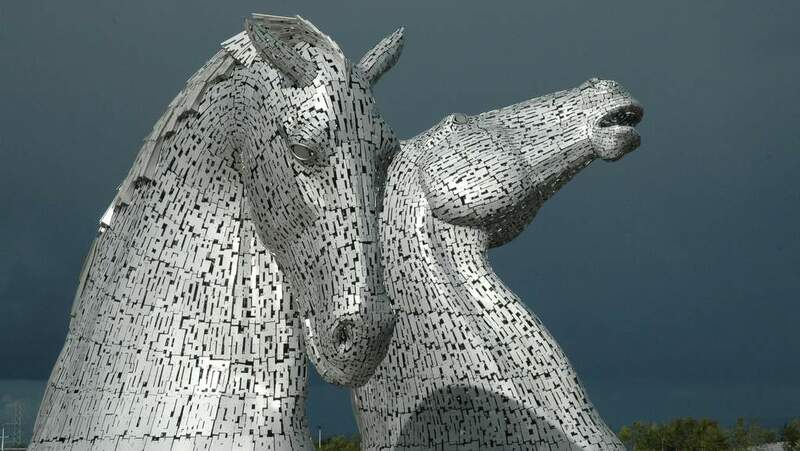 For a small charge you can park at the Kelpies themselves, or at the nearby Falkirk Football Stadium. If you park at the stadium you can enjoy a pleasant walk through The Helix Park and then along the canal which will deliver you to The Kelpies where there is also a Visitors Centre, cafe and shops. We would recommend you allow at least half a day. 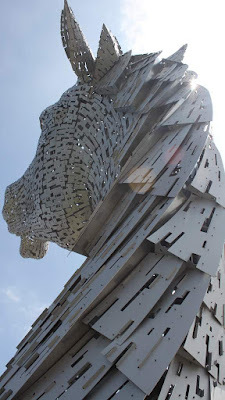 Travel just 4 miles (10 min drive) along the canal from The Kelpies and you will arrive at the Falkirk Wheel. This feat of engineering has been fascinating visitors since it opened in 2002. The wheel was designed to replace a series of 11 locks which dealt with the 35 metre difference in height. The wheel transports boats and barges by either raising them up or delivering them down to the different sections of the canal via a cantilever boat lift. This is the only rotating boat lift of its kind in the world...there are other designs, but none as beautiful as this. Visitors can take a 50 minute trip experiencing being lifted in a boat on the wheel and then traveling along the canal before returning to the Visitors Centre. There are other activities at the Visitors Centre as well as a shop and cafe and a restaurant nearby if you fancy something a bit more grown up. Make sure you book your tickets in advance during peak season. These two sites are just a part of a whole range of Attractions that can be found in this region of Scotland. To find out more about what else you can do and where you can stay visit our website. We have listed a number of interesting sites in this region including Castles, Wildlife, Gardens, Distilleries and Golf Courses.